How we got here? From Sparsity to CIGO! Let’s rewind back some years in order to understand Go!Fleet’s background to learn where it comes from and who is behind it. Go!Fleet is a logistic specialisation of a larger project called CIGO! created in 2014 with the objective of building personalized routes for tourists within a Smart City. The team of Go!Fleet work in Sparsity Technologies, a spin off from Universitat Politècnica de Catalunya (UPC) born in May 2010 to transfer the technology out of a research group dedicated to Data Management. Sparsity’s main core business is its own unique technology in the graph data management area called Sparksee, and all the knowledge in different IT sectors acquired through many applications built on top of it. LDBC, a project aimed to develop benchmarks for graph data management technologies. SoMatch, a platform that provided an IT solution to deliver reliable fashion trend estimates and forecasts of user acceptance for clothing designs fabrics and colours. Having had such an important impact in European projects as a small research company is something we have endeavoured and for which we are very proud of. Such is the impact of this feat and the successful performances from our projects that we were awarded by the European Comission as the SME with the highest innovation capacity in UE. On 2014 we submitted a proposal for a new Smart Cities Project called CIGO! Which was successfully granted to us by the FrontierCities acceleration program. This initiative, as others, supports SMEs and start-ups to develop smart mobility applications for cities across Europe. The main focus of CIGO! Was to bring together a platform which would create an ecosystem for city governments and tourists to use real time Open Data to their advantage. On board with the project we had Barcelona Turisme, the local agency in charge of managing everything related with tourism in the city of Barcelona. This was a very exciting prospect due to the high popularity among tourists that this city has. Also, Barcelona Turisme helped us shape the application for it to work in a real environment. Not only did we want to create an intelligent mobility application, but also one that used data Open source data from the city to deliver more accurate information to users. The result of many years of hard work in projects revolves in our latest mobility platform which is GO!Fleet. 2018 is going to be an exciting year for CIGO! and GO!Fleet in particular. This year we have decided to focus on the unity of the logistics sector. 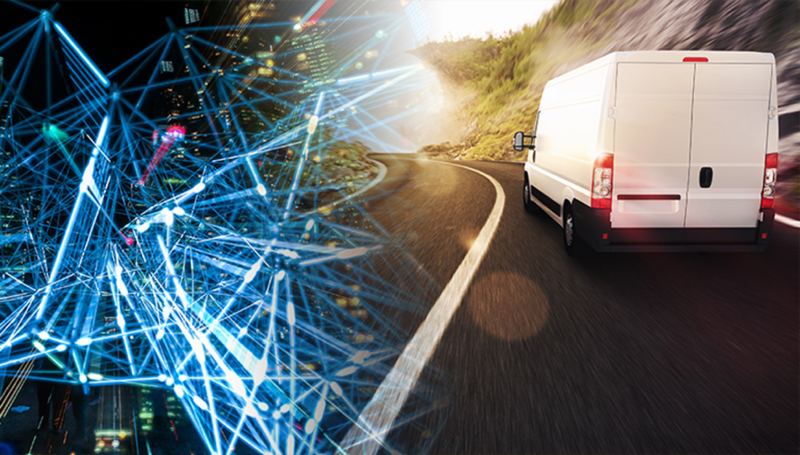 We also are going to continue evolving GO!Fleet exploring new possibilities and applications while offering it as a service yet scalable and very flexible. We aim to empower local businesses by providing them with cutting edge technology in order to give added value to their final customers as well as diminishing costs. We encourage you to keep a close eye on our latest news and social media posts. IT is about to revolutionize the current world of logistics, and GO!Fleet will for sure stay on top of this wave.